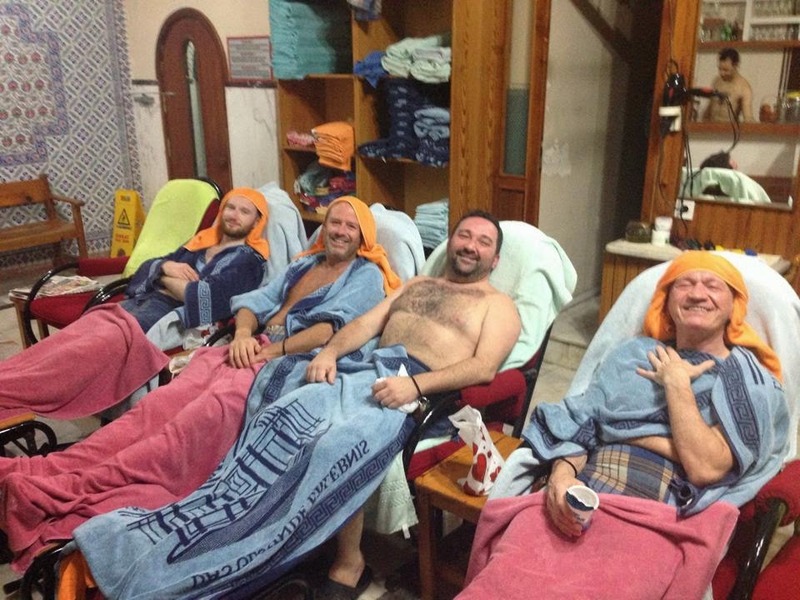 Now that some of our friends enjoyed a Turkish Bath, I want to give you a further insight about what it is. The article below is from the Rick Steves Istanbul guide book I co-authored. Going to a Turkish hamam (bath) on a regular basis is one of the regions’s oldest traditions. Baths are still popular in today’s Turkey, especially in the countryside. Ritual cleansing is an essential part of the Muslim religion and an important element of Turkish culture. Turks brought the steam bath from Central Asia, blended it with the Roman bath culture they found here, and created the synthesis we call the Turkish bath. With no pools for soaking, Turkish-style baths instead use heat, steam, and humidity to stimulate perspiration, followed by a dousing with cool water and a vigorous massage. The Turkish bath was introduced to Europe by the ever-encroaching Ottoman Empire. Europeans loved this exotic experience, especially painters of turqueries (fantastical representations of imagined Turkish culture), who used the baths as an excuse to paint frolicking naked girls. Over time, baths became an integral part of everyday Turkish life. The hamam of the past was both health club and beauty parlor -like many pas in the US today. Rubdowns with a raw-silk mitten, herbal therapy, and oil massage became popular treatments. Baths were also a place for social interaction. Two centuries ago, a woman could ask for a divorce if her husband failed to finance her twice-weekly bath visits. The baths were a place where Muslim women could socialize outside of their homes. Here they could look for a suitable bride for their sons or celebrate the birth of a new child. Meanwhile, men met at the baths to mark circumcisions, religious festivals… and for bachelor parties. PS: If you enjoyed this article, you can find similar “sidebars” providing an insider look to life in Turkey and Istanbul in the Rick Steves Istanbul Guidebook.